"So light. So warm. 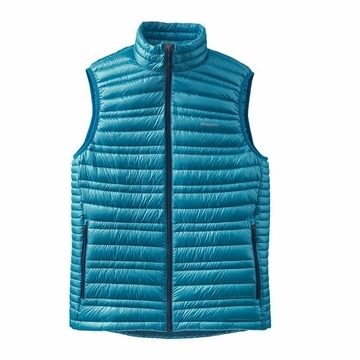 The Ultralight Down Vest combines 800-fill-power Traceable Down (goose down traced from parent farm to apparel factory to help ensure the birds that supply it are not force-fed or live-plucked) with a superlight 15-denier 100% nylon Pertex Quantum shell for a lightweight, toasty warm down vest. 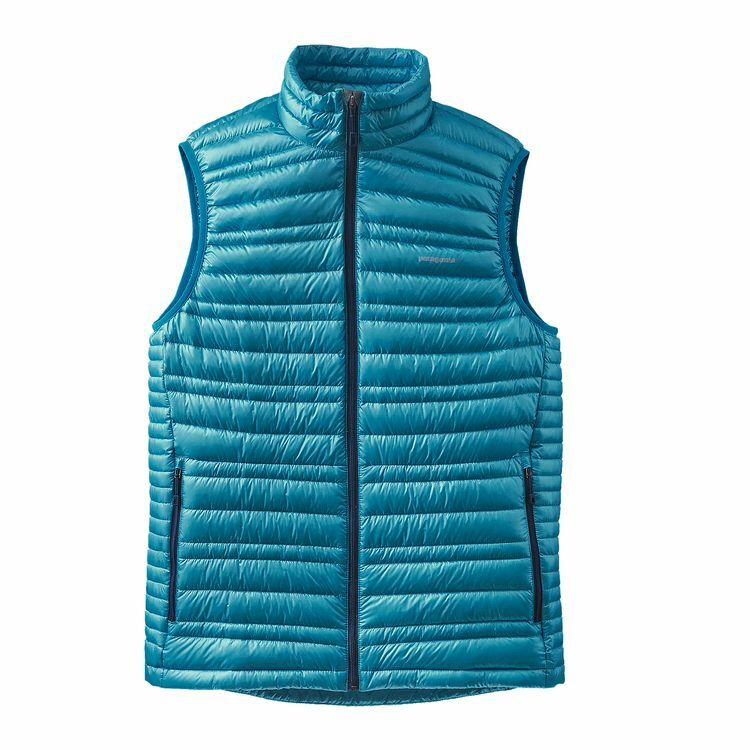 When a breeze blows one minute and snowflakes fly the next, our Ultralight Down Vest will block the chill and trap your heat. High-lofting, extremely compressible 800-fill-power Traceable Down (European goose down traced from parent farm to apparel factory to help ensure the birds that supply it are not force-fed or live-plucked) is encased in an ultralight nylon ripstop shell thats tough for its weight and sheds moisture with a DWR (durable water repellent) finish. Variegated channel construction creates a thin, thermally efficient silhouette that uses less down to trap your core warmth; the vest slides easily over light layers or under a shell and stuffs into the left handwarmer pocket to create a travel pillow. With two zippered handwarmer pockets and a drawcord hem. 178 g (6.3 oz) "